Lindblad Expeditions Holdings, Inc. (NASDAQ: LIND; “Lindblad”, the “Company”), the global leader of expedition cruises and adventure travel experiences, today announced that its Board of Directors has authorized the building of a new polar expedition ship. 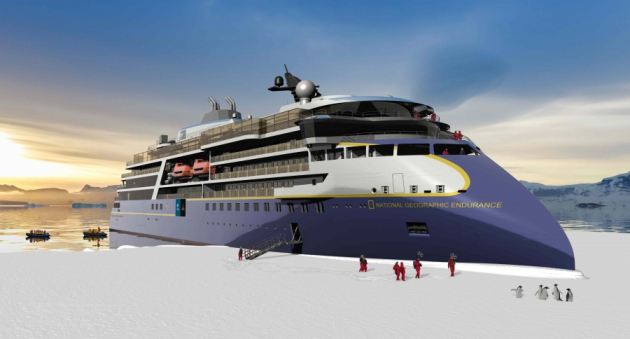 This state-of-the-art vessel, which is anticipated to be delivered in 2021, will be the next phase of Lindblad’s fleet expansion following the launch of the National Geographic Quest in July 2017, the addition of the National Geographic Venture in December 2018 and the delivery of the National Geographic Endurance in the first quarter of 2020. NG Endurance (above) is due in 2020.